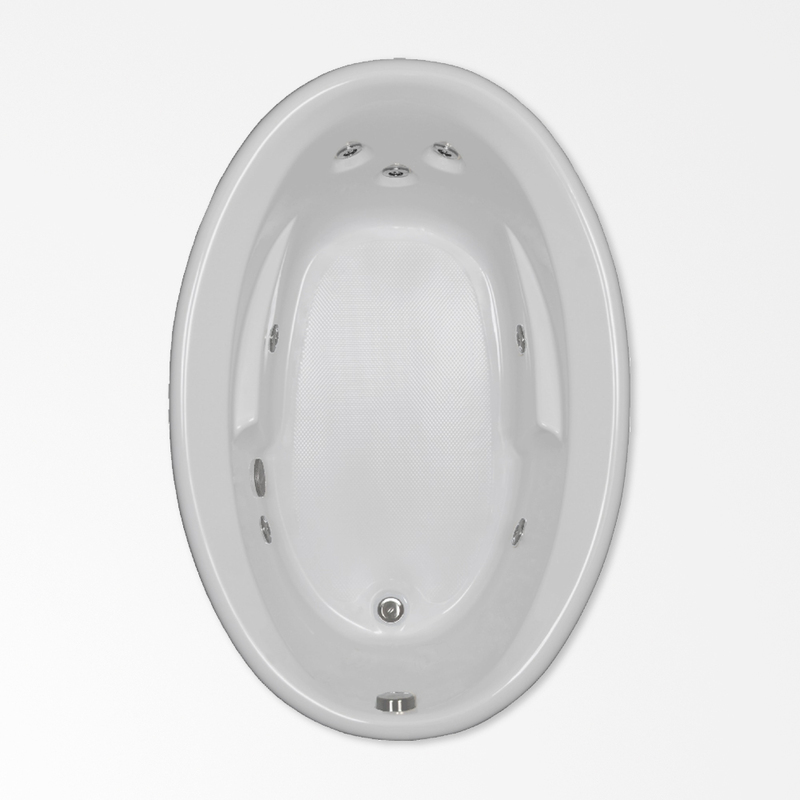 Make this graceful oval whirlpool bathtub the centerpiece of your bathroom. This tub is streamlined for modern simplicity with its rounded lip and angled tub deck. Immerse yourself in luxury as you recline in comfort against its contoured back and molded armrests. Revel in its extra wide bathing well. Let the therapy-grade spa jets restore your well-being and adjust them as needed for just the right pressure. Install this tub in a freestanding island to really set it off or drop it into a built-in alcove of tile or wood, and the 60 x 42 JR whirlpool tub will fit seamlessly into your bathroom design. •	Shipping weight: 138 lbs.